First time poster here, so I thought I'd introduce myself before piling my woes on you all! My names Mike and I like plants. I'm not much of a gardener but I do try! I have a garden full of hardy plants which mainly look after themselves (good ole plants )! I've had the odd pot plant over the years but as I have moved about a fair bit I've never consistently been able to bring them all with me! I have been looking after some plants for my girlfriend (and I can guess you know this isn't going to work out for the plants at this point!) and they're really not doing so well!! 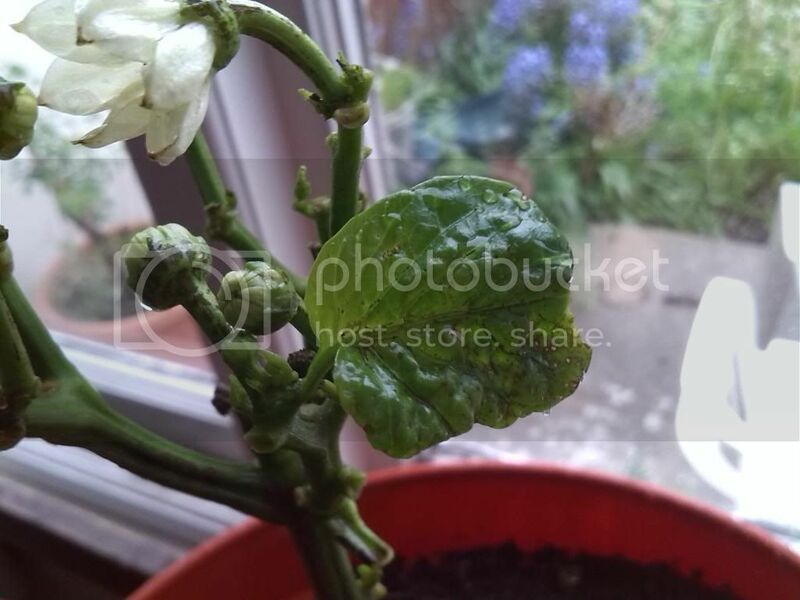 They're a pair of bell pepper plants, re-potted into sizeable pots about a month ago (maybe slightly more). We had a problem with little slugs, but re-potting and vigilance seemed to fix the problem. For the last two and a bit weeks I have been looking after them while my gf is away in Indonesia (lucky her!). The leaves started to drop off! I obviously automatically believed myself to have sprayed too much of the chemicals on and killed the poor blighters. I pluck off the leaves that are dying, give it a quick wash to get rid of any excess chemicals and hope for the best. Then the brown spots start. 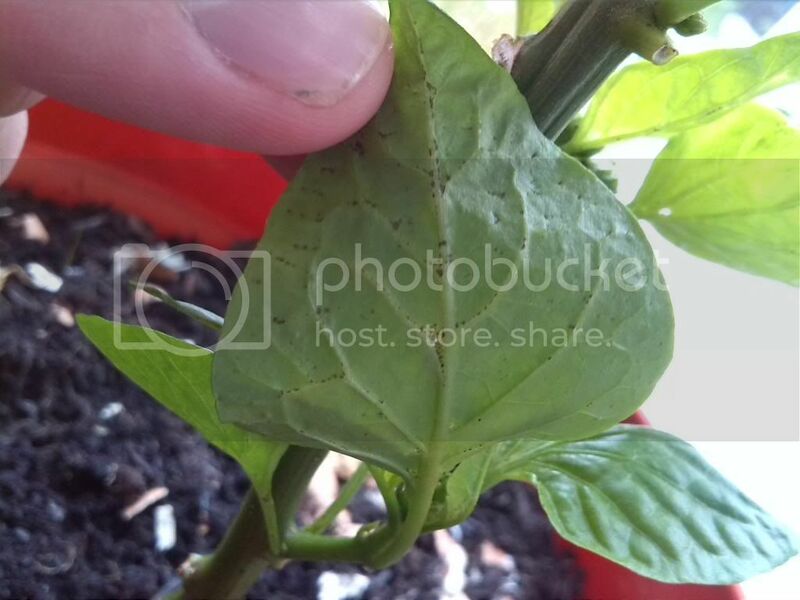 Being a novice, can you tell me whether new leaves should be "inheriting" brown spots which I believed to be chemical burn from the insecticide? 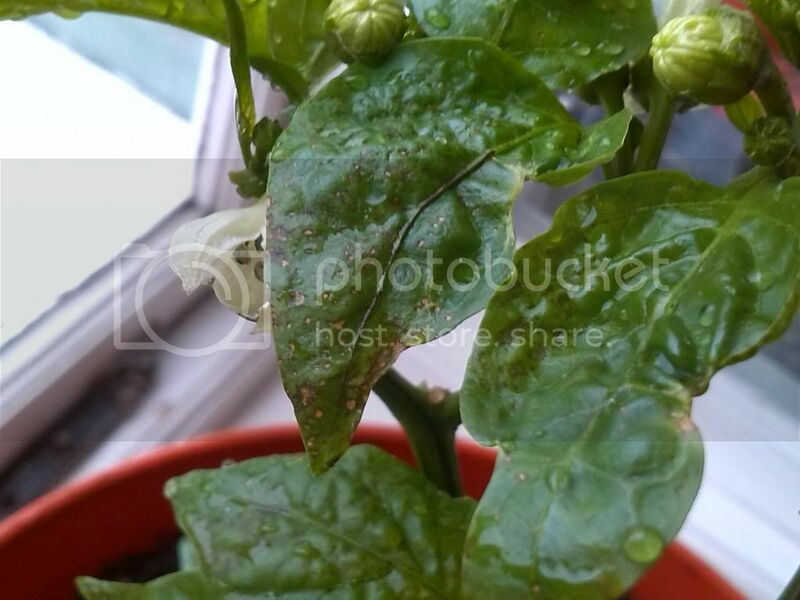 It seems to be producing leaves but they gain brown spots. The other alternative is that they have gain a bacterial infection but it seems such a coincidence from spraying them and the droppage. Here's a look and any help from the wise community here would be amazing! Thanks!! Welcome to HG. It would be incredibly helpful to know where you are located, and to add that information to your profile so you don't have to keep telling people.